Home / Function / Kampe Gowda Utsav on Bangalore, in New Delhi on December 14, 2014. Kampe Gowda Utsav on Bangalore, in New Delhi on December 14, 2014. The Union Minister for Chemicals and Fertilizers, Shri Ananthkumar witnessing a cultural performance at the Kampe Gowda Utsav on Bangalore, in New Delhi on December 14, 2014.
he Minister for Rural Development and Panchayath Raj of Karnataka, Shri H.K. Patil inaugurating the exhibition organised as part of the Public Information Campaign, at Gadag district of Karnataka on December 13, 2014. The Minister for Rural Development and Panchayath Raj of Karnataka, Shri H.K. 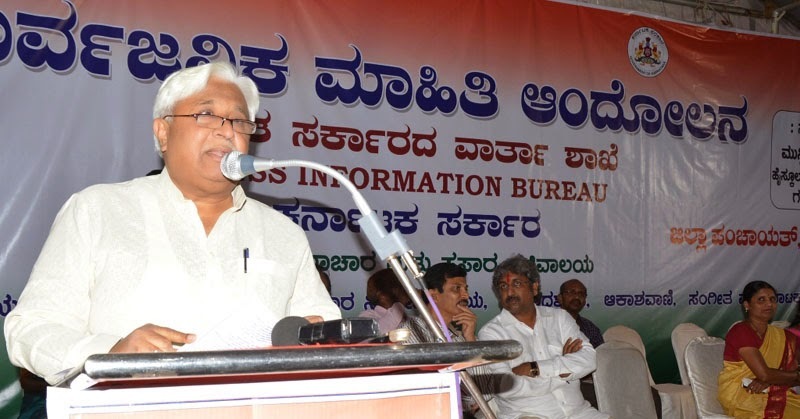 Patil delivering the presidential remarks, at the inaugural function of the Public Information Campaign, at Gadag district of Karnataka on December 13, 2014.